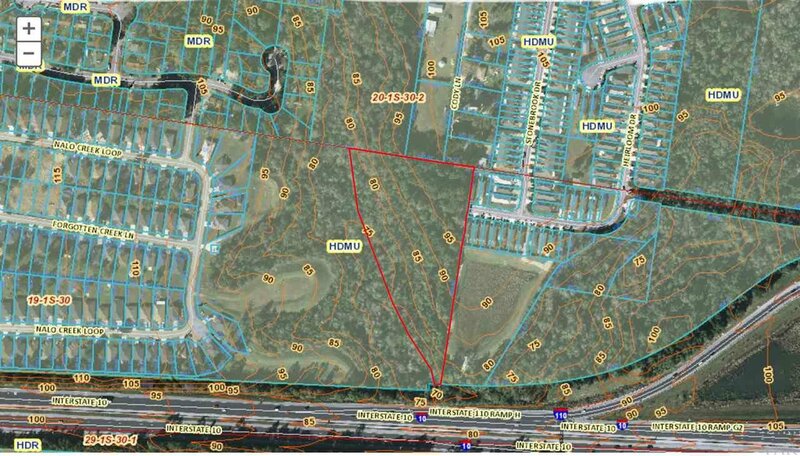 5.23 ACRES Zoned HDMU in Northeast Pensacola off Olive Rd. borders Lost Creek Subdivision. Great location off Olive Rd. and Cody Ln. Convenient to I-10, Colleges, University, Hospitals, Shopping. Utilities available. Wetlands study available. Carpenter’s Creek runs along property. Buyer to verify acreage, wetlands, zoning and land use. Existing survey available.